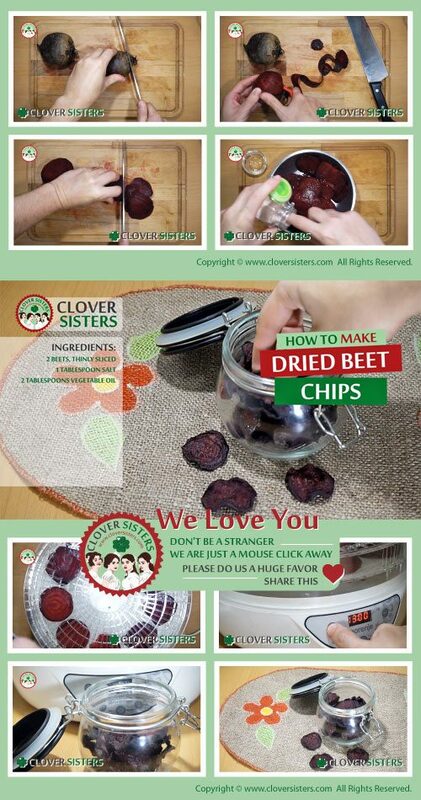 Easy to make and wonderfully colored, beet chips have sweetness in a natural way. Smart way to replace potato chips and enjoy healthy snack or addition to a meal. Place the beet slices into large bowl and toss salt and oil over. Stir lightly to cover all slices. Leave it for 15-20 minutes or until beets release water. 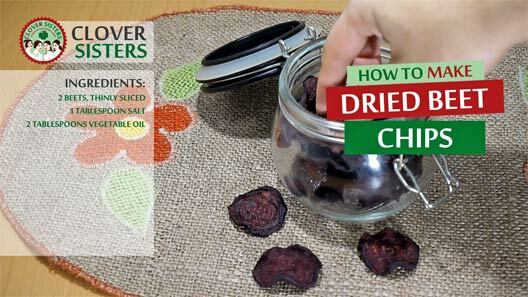 Strain beet and arrange on dehydrating tray and leave I on low heat until dry.